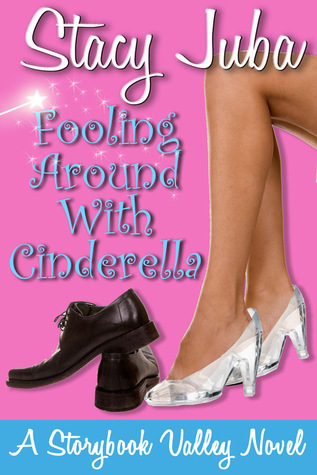 Fooling Around With Cinderella is the story of Jaine Anderson who proposes a new marketing plan to a local amusement park, seeking a job there but by a turn of events finds herself playing Cinderella instead alongside her marketing role! I just love fairy tales and stories that promise a fairy tale like experience are always alluring to me. I loved the title, cover and blurb of this book and jumped at the chance to read it. Entertaining right from the start, I enjoyed each and every moment following Jaine around as she fought her overbearing sisters, fought her attraction towards her hunk boss and found herself playing Cinderella! Stacy Juba does a stellar job of recreating a well loved fairytale in modern settings and has a rich narration style that kept me glued to the book right till the end. Storybook Valley amusement park had me revisiting my precious childhood memories of visiting such amusement parks where there were Cinderella, Peter Pan, Red robin Hood and other beloved Disney characters who seemed happy and the settings had a magical feel to them. The characters are well fleshed out and I could relate to each one of them. Jaine somewhat reminded me of myself. She is kind, loyal, hardworking and often taken for granted. She feels self conscious of herself, comparing herself to her successful sisters but despite this is never jealous and always there to help them out which is like every time because her sisters have her working their chores all the time without once a good word about all her efforts. Dylan had my heart palpitating with his handsome looks, his charm, his kindness and then his determination to make Storybook Valley a success. The chemistry between him and Jaine is both sweet and heartfelt. I felt invested in their lives and kept praying for a happily-ever-after for them. The other characters also play their part admirably and I loved meeting Dylan's family who started Storybook Valley. They are a varied bunch and had me smiling reading them. I would definitely love to read their own stories and hope Stacy writes about them soon. The story is well paced with expertly planned twists, emotional plays and added doses of humour, relationship study, romance and suspense. This is a great start to a new series and definitely a must read. All in all, Fooling Around With Cinderella had me thoroughly entertained and I loved every second of it. 4.5 out of 5 to it and strongly recommended to all fans of fairy tale themed romances full of wit, suspense and a healthy dose of fairy tale. I enjoyed Stacy's writing and look forward to reading more from her in the future. Can't wait to read the next book in this series. Hope it comes out soon.